For a district that’s barely 4,000 sq km in size, Kodagu (Coorg) in Karnataka produces a surprisingly varied range of cuisine. 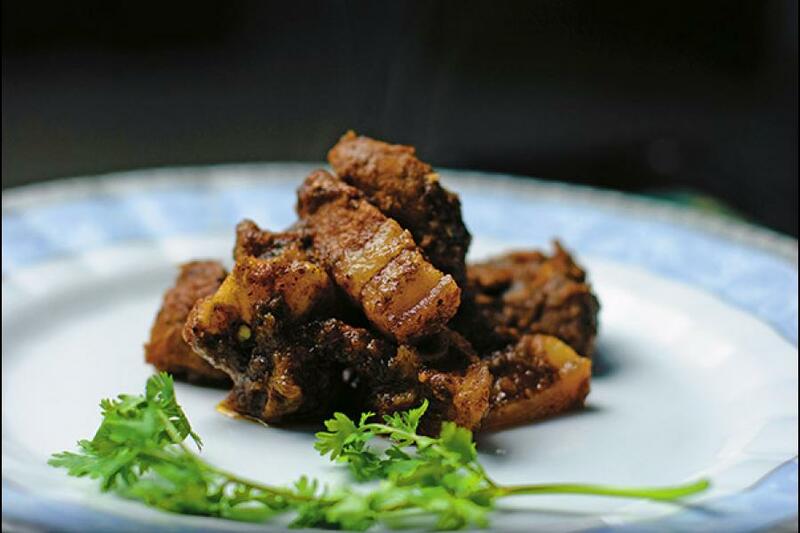 Few mainland cuisines in India embrace pork as whole-heartedly as the Kodavas do, so it’s only fitting that the pandi curry—a rich, slow-cooked pork dish that takes its signature dark colour from a vinegar called kachumpuli—should be considered an icon, but it ends up overshadowing tangy, light fish curries, delicate vegetable stir-fries and endless variations of staples created with rice. Tickling all the taste buds, this is a cuisine that has made a firm imprint on Bangalore—in the past six years, the number of Kodava restaurants has grown from one to three—and is now ready to take on palates in the further reaches of the country. Chances are if you’ve heard of the Saoji style of cooking, you’re from Maharashtra. Born of the working classes, it’s only in recent years that the cuisine has stepped outside roadside shacks—Nagpur and Sholapur are dotted with no-frills Saoji bhojanalayas—and into more upmarket restaurants. Ear-buzzing, sweat-inducing fieriness is the primary distinguisher of this cuisine, along with liberal use of oil. There is little record of the evolution of Saoji cuisine but the spice levels possibly had something to do with the region’s dry heat and the perceived low quality of the offal that was often all the weaving communities were able to afford. Though Saoji mutton and chicken (dry and rassa are the two standard varieties) are the most popular dishes, vegetarian dishes are not unknown. Oh, and did I mention that critics and fans aver with one voice that the food is extremely tasty? 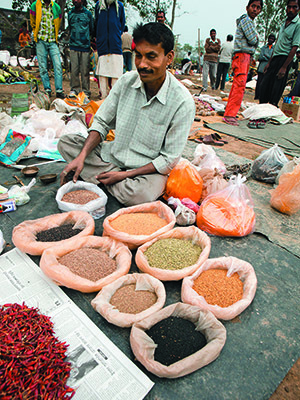 Marketed intelligently, Saoji could well replace Andhra food as the go-to meal of choice for hot-heads. While narrowing down this list, one of the criteria was that the cuisine should be something of a will-o’-the-wisp, that is, familiar enough to be welcome and at enough of a remove to be enticing. For a Bengali, that cuisine is undoubtedly Ahomiya, with its river fish, wild greens, mustard oil balanced by a plethora of fermented and dried foods, exotic tribal ingredients like the pupa of the eri silkworm and red ant eggs, as also the kolkhar—traditionally the water filtered through the ashes of dried and charred banana skins that is now frequently replaced with baking soda—used in cooking the first dish of the Ahomiya thali, the khar. There are almost as many kinds of Ahomiya cooking as there are households, and it’d be a rare eatery that would be able to present all the micro-cuisines from the length and breadth of Assam. But this is a restaurant-ready repertoire, waiting to unfurl its wings beyond Assam House in Delhi’s Chanakyapuri. Good that food from Assam has made this list. But seriously, \"aHomiya\"?? First you think that Assamese food is a \"derivative\" of Bengali food. Nothing could be further from the truth. You sound like those British who think \"curry\" is something they invented. Grow up! And then you add insult to injury by murdering our dear voiceless velar fricative (check wikipedia, or try pronouncing the Lochness monster correctly while you are at it) by calling it an H? Stop trying to speak about something you don\'t understand. You would be better placed to make some reasonable comments about \"aloor poshto\" than the exquisite cuisine of Assam that\'s derived very differently from that in Bengal. In other words, do your homework!! The article reminds me of an instance, where someone I know commented Guwahati is in Kolkata and not in Assam beacuse Guwahati is not in North East. Humor aside, it highlights the ignorance of many about the state and the culture within. The reason why Ahomiya isn\'t right is because it reflects only a part of the Assamese community - the \"Ahom.\" Though, I feel Ahomiya in this article is used to refer to the food habits of the entire north east instead of being particularly focused on the traditional Assamese cuisine. But I am happy to see the initiative taken by the writer to address this will-o\'-the-wisp with great potential. It\'s nice to know that cuisine explorers are taking interest in the region, but a little more research would have helped in getting some facts right. It is quite nice to see that Assamese cuisine is getting recognized. I can see that it is still \"Ahomiya\"s to the exploratory writer. Whilst the writer may have written this article in complete neutral humour, it extends us to the stark but subtle regional point of view of getting discovered (albeit mispronounced). Well, thanks for noticing the will-o\'-the-wispiness of \"Ahomiya\" cuisine. I guess \"Ahomiya\" is a small anthropological adventure that can be pardoned, on the writer\'s part. Nevertheless, thanks for this article on Oxomiya cuisine. My late aunt\'s book on Kodava cuisine is pretty comprehensive, so if you\'re looking for a book of recipes look up \"The Essential Kodava Cookbook\" by C.B. Muthamma and P.Gangamma Bopanna. It\'s out of print in India, unfortunately, but still available on Amazon. Though I appreciate the article, and feel proud to see \"Ahomia\" cuisine making it to top-3, I would like to correct the editors that \"Ahomia\" cuisine is actually called \"Oxomia\" or \"Assamese\" cuisine and its from the North Eastern state of Assam. Thus the statement \"For a Bengali...\" is incorrect, and should have been \"For an Assamese...\" I am surprised to see the errors in the reputed Forbes. All essential items for making yummy pork (pandi) curry are available on the online website www.coorgshoppe.com Check out for kachampuli and pork masala powder! It\'s wonderful to see the rich and varied cuisine from our tiny community featured here, getting the attention it so richly deserves. And even better, the focus here shifts to the wealth of dishes that are usually overshadowed by pandi curry. As someone who has been writing extensively on the traditional food of Coorg for a long time, I really appreciate this! We all should try these taste of Indians foods. All foods have there own quality.